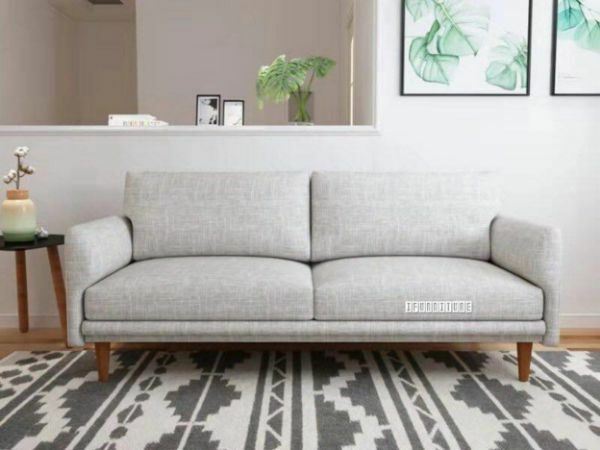 Our comfy SKYLER sofa series comes in 2 and 3 seater couches. Covered in a lovely light grey fabric, which has a (dirt-hiding) white pattern in it. All four seat and back cushions are zip-off, another practical feature. With narrow arms, and black tapering, solid wood legs, the couches project a slim, minimalist style, which slips easily into our relaxed Kiwi lifestyle. *Buyers need to attach the legs onto the sofa very easily. Super comfy modern design fabric dining chair with steel frame and legs, in Light Grey, Dark Grey, Beige or Blue. -Now only dark grey available. A moden table with solid beech legs, suitable for dining or working. 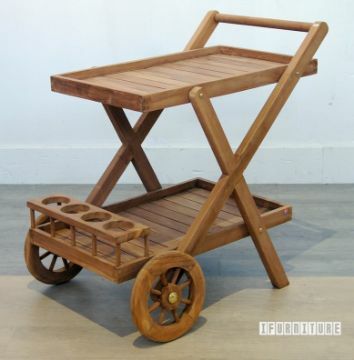 Quality solid teak made serving trolley. Model #TGF-023.